For IT News Week 5 Mar 2018 - Disk 2. Logitech G, a brand of Logitech, today announced two new additions to their family of high-performance gaming gear. The Logitech® G560 PC Gaming Speaker is the first dedicated gaming speaker system with advanced Logitech G LIGHTSYNC™, a technology that synchronizes both light and sounds to gameplay. Joining the speaker is the new Logitech® G512 Mechanical Gaming Keyboard. The Logitech G512 also features LIGHTSYNC RGB, provides the choice of two Romer-G™ mechanical key switches and comfortable experience. Logitech G continues to expand its range of high-performance gear that is purpose-built for the needs of gamers, and push innovation in RGB to new immersive levels. The continued growth of malware, coupled with the advancement of new cyber threats, calls upon the need for cybersecurity professionals to better identify and quickly remediate threats in their security environments. In the latest McAfee Labs Quarterly Threats Report, new malware samples surged by 32 percent, quarter-over-quarter. As the global cybersecurity workforce is expected to experience a shortfall in headcount of 1.8 million by 2022 according to Frost & Sullivan, security teams will need all the help they can get to be well prepared in facing the threat landscape. Dell EMC has announced its Virtual Edge Platform (VEP) family, the first-to-market software-defined wide area network solution (SD-WAN) with the new Intel® Xeon® D-2100 processor. The new virtualised solutions will enhance or displace expensive fixed-function access hardware as well as speed digital transformation by connecting the enterprise edge to the cloud via universal Customer Premise Equipment (uCPE). 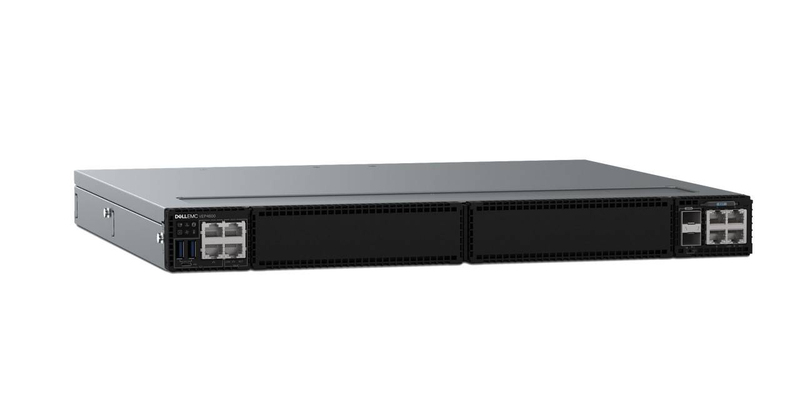 Dell EMC VEP4600 – provides next-generation access to the network via SD-WAN. By enhancing WAN operations and economics, service providers and enterprise customers can drive growth, strengthen competitive differentiation and improve the end-user experience. Intel Xeon D-2100 – product family’s performance, power and form factor have been tuned for higher performance-per-watt for SD-WAN and uCPE delivering more than 1.5x faster CPU performance, up to 2x improvement in packet processing, 2x memory bandwidth and up to 4x memory capacity. Do you want that new gadget in the display window, but unable to afford it on a large single payment? What about furthering your studies? Taking too long to save up for that dream holiday? Hong Leong Bank and Mastercard® open these (and many, many more) doors with an exclusive #HelloHappy campaign, giving you an unprecedented credit card facility that simply allows you to break down large payments into manageable monthly instalments. From 14 February 2018 to 30 June 2018, spend a minimum of RM500 on any item from any retailer, and get the option to spread out the payments over 18 months with absolutely zero interest. Want to settle payments early? Zero penalties for this too. Just call 03-76268899 to convert your spending! Techninier Sdn. 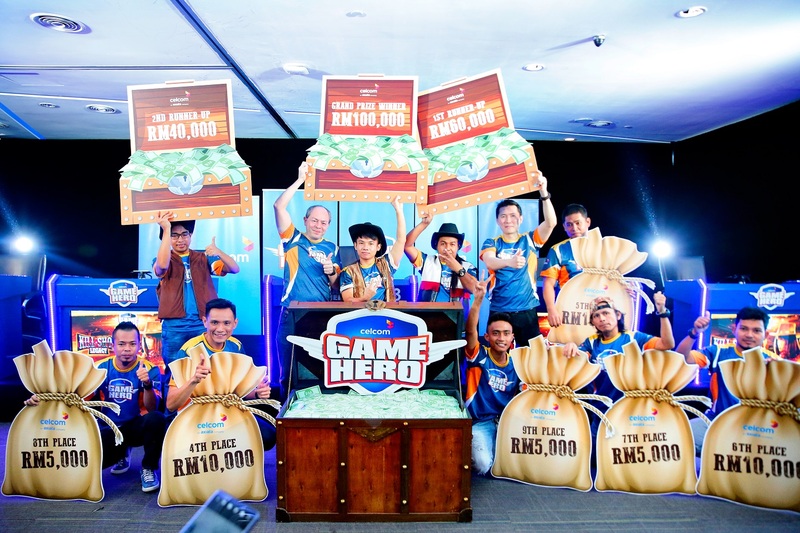 Bhd., a leading mobile social gaming platform provider today in collaboration with Celcom Axiata Berhad completed the Celcom Game Hero Kill Shot Legacy Tournament with two intensive rounds of live gaming sessions. Kill Shot Legacy is a mobile game developed locally by Techninier. A total of ten finalists battled it out through eight game mastery challenges to get their share of the total cash prize amount of RM 300,000. The winner, Teoh Khay Sheng, 24, took home the dream cash prize of RM100,000 with an impressive high score achieved within an hour of the live gaming session. 2nd prize winner, Wajib Bin Nasil, 31, was awarded RM60,000 in cash and 3rd prize of RM40,000 cash prize went to Mohd Farhan Bin Hassin, 29. Kill Shot Legacy is an intense first person shooting game that takes place across varied time zones that include the Old West, an Alien Zone, Military Base and the Future. The Celcom Game Hero Tournament Endless Trials is currently available for download on Google Play and App Store. For more information, please visit www.gamehero.my. The new Kaspersky Endpoint Security for Business is another landmark in this journey: more next generation detection with dynamic machine learning, increased visibility and granular security controls including vulnerability management, credentials protection and integration with EDR. To maintain the highest standards of protection, which have been proven by independent researchers and thousands of customers worldwide, Kaspersky Endpoint Security for Business continues to evolve its detection techniques. This year’s innovation is supported with enhanced dynamic machine learning, allowing the detection of malicious activity in real-time. Other next generation technologies in the product include: Behavioral Detection, HIPS, Exploit Prevention and Remediation Engine. A variety of broader security controls is supplemented with new capabilities. 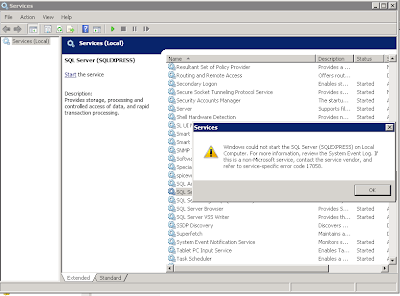 Those include an added mechanism that guards system-critical processes and prevents credential leakage against the use of mimikatz-like tools. Combined with other measures, this helps to protect businesses from current trending threats, like WannaMine, that hijack computers and use their resources to mine cryptocurrencies. The product is available globally under both traditional and subscription licensing. Kaspersky Lab’s partners can address all regional pricing inquiries. More information about Kaspersky Security for Business and particular applications inside each edition is available on the global website. Sophos, a global leader in network and endpoint security, today announced the expansion of its Sophos Phish Threat phishing attack simulator and training solution to Europe and Asia. With enhanced dashboards and new analytics to track organisational risk and employee performance, Phish Threat simplifies a key part of an organizations security strategy – employee awareness and training. With the capability to choose from hosting locations in Ireland, Germany or the US, organisations worldwide can now access multi-language, interactive security training from within the Sophos Central security management platform. Commvault (NASDAQ: CVLT), a global leader in enterprise backup, recovery, archive and the cloud, today announced the appointment of Patrick Williams as Vice President of Sales for Asia Pacific (APAC), effective April 2, 2018. The APAC region has become increasingly important for Commvault, with expanded partnerships and significant customer growth across several markets. In this new position, Williams will be responsible for continuing to build Commvault’s market presence, strengthening current strategic partnerships and growing the customer base, across the APAC region. Williams brings extensive sales leadership and experience in all routes to market, specifically Enterprise, Channel and Alliances. 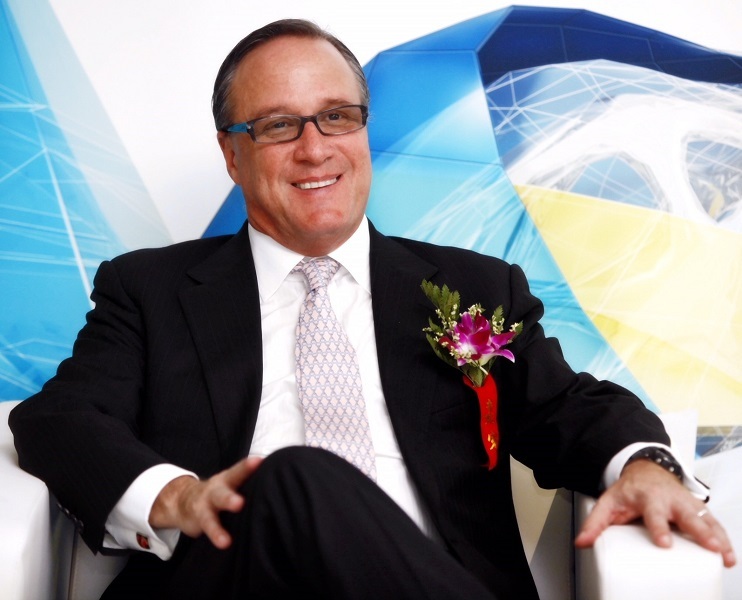 Most recently, he served as Senior Vice President Sales, Asia Pacific at Autodesk. In this role, Williams led strategic planning and execution efforts that resulted in Asia Pacific being Autodesk’s fastest growing region. Prior to that, he was Vice President Sales at Mentor Graphics, an international design software company, based in Tokyo, Japan where he more than doubled company revenues during his 8-year tenure. Williams is based in Singapore at Commvault’s regional headquarters and succeeds Owen Taraniuk who has recently been appointed Commvault’s Head of Worldwide Partnerships and Market Development. 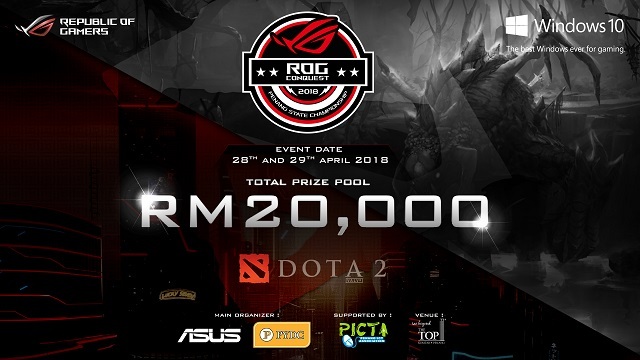 Kicking off on April 2018, ROG Conquest, Penang State Championship 2018 serves as an arena for aspiring gamers to compete among a total pool of 64 Dota teams. Surviving contenders will battle out each other for the total prize pool of RM 20,000 during the tournament’s Grand Final on 28th- 29th April 2018, which will be held at The Top, Komtar, Penang. Penang Youth Development Corporation (PYDC) as one of the event organiser and is supported by Penang ICT Association (PICTA). The ROG Conquest tournament stage will be featuring the latest ROG Strix GL503 SCAR Edition, the all-new gaming laptop is made for those on the go, with a 15.6-inch display, as-thin-as 2.3cm profile and a frame that’s as lightweight as 2.3kg. Engineered with the newest up to Intel® Core™ i7 processor and NVIDIA® GeForce® GTX 1060 graphics, Strix GL503 SCAR Edition pushes the boundaries to deliver performance levels and style usually found only in higher-end laptops. Maybank – the leading bank in Malaysia and fourth-largest in Southeast Asia by assets – has partnered with software technology company, Hearti Lab, to implement artificial intelligence and blockchain solutions to its insurance and risk management capabilities. While the partnership marks Hearti’s first major move towards bringing both banking and insurance customers onto its proprietary platform, it also signifies a milestone in the digitalisation of Malaysia’s banking sector. Maybank is the first bank in Malaysia to apply innovative artificial intelligence and blockchain technologies to its risk management and reporting framework. The report found the number of records breached dropped nearly 25 percent in 2017,as cybercriminals shifted their focus on launching ransomware and destructive attacks that lock or destruct data unless the victim pays a ransom. Last year, more than 2.9 billion records were reported breached, down from 4 billion disclosed in 2016. While the number of records breached was still significant, ransomware reigned in 2017 as attacks such as WannaCry, NotPetya, and Bad Rabbit caused chaos across industries without contributing to the total number of compromised records reported. For the second year in a row, the Financial Services industry suffered the most cyberattacks against it, accounting for 27 percent of attacks across all industries. The United Nations and Tableau Software (NYSE: DATA) are proud to announce an unprecedented agreement that provides access to Tableau’s world class visual analytics to professionals working in 193 Member States across the United Nations system. Tableau is the first United States-based enterprise software company to sign a master global agreement with the United Nations. The agreement establishes Tableau as a global visual analytics standard across the United Nations system and simplifies the acquisition of the technology for all United Nations-affiliated entities.